Who are the people behind the ZNZ? 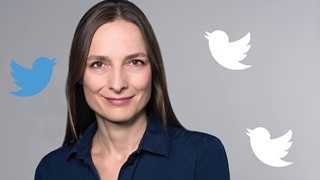 We have asked ZNZ Steering Committee member Prof. Susanne Wegener of the Department of Neurology, University Hospital Zurich, to answer a few personal questions in tweets. Me: Neurologist, born in Rostock, Germany, married to a neuroscientist, 2 great school-age girls; I like to be with family and friends, play tennis, and the piano. Describe your role in the ZNZ Steering Committee? As a clinical scientist, I am fascinated by basic research that reaches the clinic. I want to help advancing communication and collaboration between basic and clinical researchers so that “translational research” is not just an empty phrase. What makes you come to work every day? I am privileged to have a versatile, rewarding job that includes work with patients, interacting with competent colleagues, both in the clinic and for my research. Plus, I have the freedom to work on scientific topics that fascinate me. What keeps you up at night? Fortunately, I sleep like a log. I don’t like unsolved conflicts therefore, open and honest communication is important to me.